CDC Director Dr. Tom Frieden. 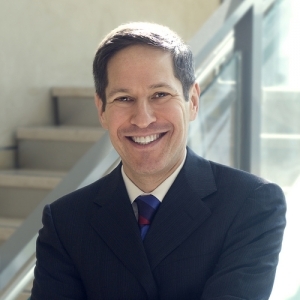 Tom Frieden, director of the Centers for Disease Control, will address concerns about the MERS (Middle East Respiratory Syndrome) virus and other key health issues at a National Press Club Luncheon on Tuesday, July 22. Frieden will also discuss the sharp rise in U.S. measles cases and the growing number of antibiotic-resistant diseases at the Luncheon. Frieden, who has led the CDC since 2009, is a physician trained in internal medicine, infectious diseases, public health and epidemiology. Lunch will be served at 12:30 pm, with remarks beginning at 1 p.m., followed by a question-and-answer session ending at 2 p.m.  Tickets cost $22 for Press Club members. NPC members may purchase two tickets at the member rate. The price for all other non-member tickets is $36 each. Tickets may be purchased here. For questions, please email reservations@press.org or call (202) 662-7501. Tickets must be paid for at the time of purchase. NPC members who wish to attend the pre-luncheon reception must RSVP separately to VIPreception@press.org no later than 48 hours before the event. Space may be limited. You must have a paid reservation to the luncheon to attend the VIP reception. To submit a question in advance, put FRIEDEN in the subject line and email to president@press.org before 10 a.m. on the day of the luncheon.